IT’S ALL HAPPENING AT ANTONES! I am proud to present the first public appearance of JANIS. She is a very magical lamp, named for, of course Janis Joplin. “I loved her style and her laugh. She loved the outlandish and was larger than life.” This was written by her designer Ruth Ellsworth Carter. I think it is fitting to debut this work of art at Antone’s Home of The Blues where another work of Ruth’s found it’s first home. The co-write between Ruth and her husband Bill Carter for Stevie Ray Vaughan Crossfire went on to become a world-wide hit and Billboard #1 single for Stevie and his band Double Trouble (Chris Layton, Tommy Shannon, Reese Wynans). 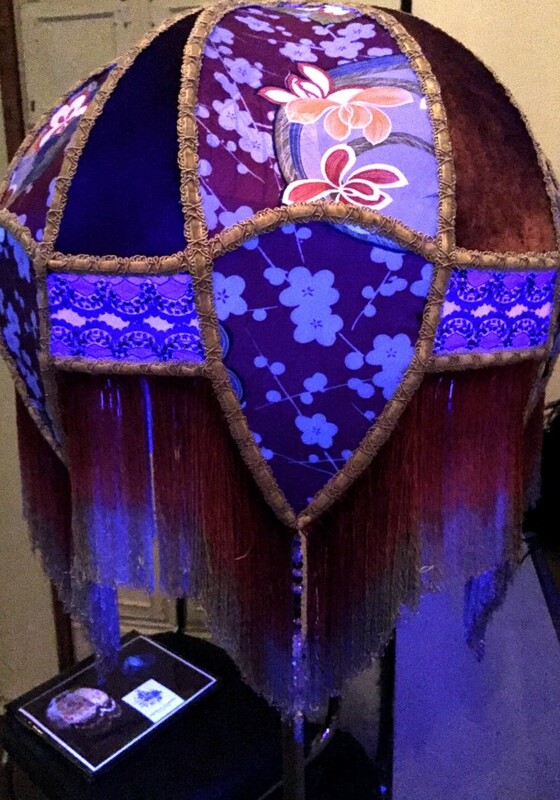 I think most music, pop culture and fashion fans would agree, Janis and Prince share a lot in the additions they made to the wonderful world of rock and roll and I could not think of a better place to show off this lamp! She is for sale for $2000 if you just can’t help yourself.